When these shows got retooled, their names got changed, too. When NBC aired Jerry Seinfeld’s new TV show on July 5, 1989, its title was very different from the one we know and love today—at least for an episode. The comedy was called The Seinfeld Chronicles for its pilot episode and then changed to simply Seinfeld. 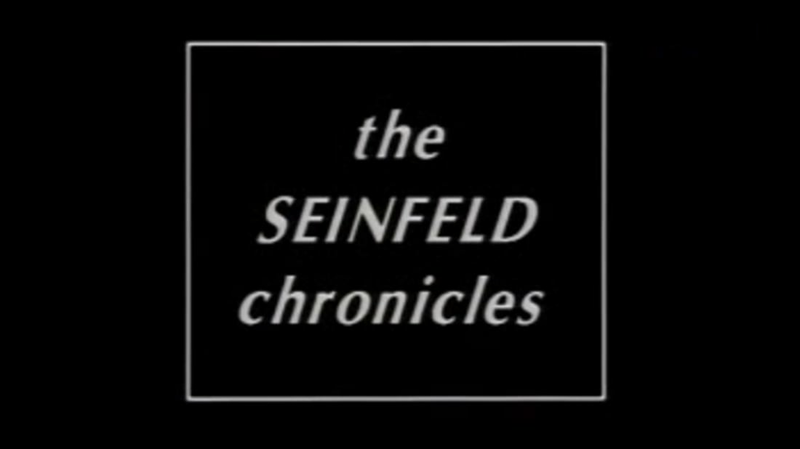 NBC was worried that audiences would mistake The Seinfeld Chronicles for another TV comedy called The Marshall Chronicles on its rival network, ABC. Both TV shows aired in 1990, but only one is considered the greatest TV comedy of all-time. Comedian Ellen DeGeneres was at the center of the TV comedy These Friends of Mine, which premiered on ABC in 1994. During the show’s first season, DeGeneres’ star was on the rise, and she was becoming more popular than her TV friends. When These Friends of Mine returned for season two, it was re-titled Ellen to suit the titular character and to capitalize on DeGeneres’ growing popularity. NBC’s long-running late night sketch comedy and variety show Saturday Night Live has been on the air since 1975. While we’re all familiar with its title, the widely popular TV show was originally titled NBC’s Saturday Night. A month before its initial broadcast, rival network ABC launched a like-minded variety and comedy show called Saturday Night Live with Howard Cosell. In an attempt to avoid confusion, SNL producer and creator Lorne Michaels called his show NBC’s Saturday Night. Cosell's show was canceled the following year, and Michaels dropped the “NBC” moniker and the show officially became Saturday Night Live in March 1977. For a brief time during its sixth season, SNL was alternatively known as Saturday Night Live ’80, as a way to break into a new decade of comedy. In 1987, NBC aired the pilot for a teen comedy, entitled Good Morning, Miss Bliss, which starred Hayley Mills as the titular teacher and future Beverly Hills 90210 actor Brian Austin Green as a serious, suit-and-tie-wearing student. When NBC passed on the series, The Disney Channel stepped in to pick it up in 1988. The comedy was set at the fictional John F. Kennedy Junior High School in Indianapolis, Indiana. Disney later dropped Good Morning, Miss Bliss after 13 episodes and NBC immediately picked it up after seeing how much potential the show had on Saturday mornings. NBC re-tooled the comedy to focus on the teenage students instead of the teacher character, and relocated it from Indiana to southern California. Now under the name Saved By The Bell, NBC’s teen comedy became one of the most iconic Saturday morning TV shows of the '90s. In syndication, Good Morning, Miss Bliss is also known as Saved By The Bell: The Junior High Years. In 1991, the short-lived family sitcom The Torkelsons aired on NBC. The show was set in a suburban Oklahoma town and followed a mother named Millicent and her five children struggling to earn a living after the children’s father left the family. But when ratings for the series were low, NBC execs decided to re-tool The Torkelsons instead of canceling it. For its second season, NBC changed the title to Almost Home and relocated Millicent and three of her five children from Oklahoma to Seattle, where she took a job as a nanny for a magazine tycoon and his two children. But the name change couldn't save the show, which was canceled after its second season. The TV sitcom Two Guys and a Girl (not to be confused with the 1998 indie film Two Girls and a Guy or the 1951 comedy Two Gals and a Guy, which is also known as Baby and Me), aired as Two Guys, A Girl and a Pizza Place when it premiered on ABC on March 10, 1998. The comedy followed the Friends format of beautiful twenty-somethings living and working in a major metropolitan city—in this case, Boston. When the titular two guys embarked on more ambitious careers, the pizza place was dropped from the series’ title and premise altogether at the beginning of its season three. Two Guys and a Girl was canceled shortly after. The family sitcom 8 Simple Rules for Dating My Teenage Daughter was a lighthearted comedy about a father coming to terms with his children’s teenage behavior. But when star John Ritter suddenly died after filming the third episode of its second season, the series changed its format and name to 8 Simple Rules. Ritter’s death was written into the show, which then followed his character's grieving family. In 1999, The WB was the hub for teen dramas and comedies, including Felicity, Dawson’s Creek, and Charmed. The network was looking to introduce more comedy programming for their teenage viewers, and the sitcom Zoe, Duncan, Jack and Jane was born. The series followed four high school friends coming of age during their senior year in New York City. When audiences had trouble remembering the show’s title, its producers eventually simplified it to Zoe… when the TV show was re-tooled for its second season. The long-running TV series Little House on the Prairie saw some drastic changes when it reached its ninth season in 1982. The series’ star, Michael Landon, left the show, but still stayed on as executive producer; it followed a new family living in the Ingalls’ house; and changed its name from Little House on the Prairie to Little House: A New Beginning. The series was canceled a year later due to low ratings. One of the most underappreciated TV comedies of the '90s is Parker Lewis Can’t Lose, which aired on Fox from 1990 to 1993. The series followed a teenager and his friends' daily misadventures at Santo Domingo High School. While the movie Ferris Bueller’s Day Off strongly influenced the TV comedy with post-modern elements, Parker Lewis Can’t Lose injected a surreal and hyper quality to the Ferris Bueller character prototype. However, in its final season, the series’ creators toned down the show’s manic pace and re-titled the comedy to simply Parker Lewis. The animated series Gargoyles aired its first two seasons in syndication on Disney in an afternoon programming block that included Darkwing Duck, Goof Troop, and the TV series version of Aladdin. In its third and final season, Disney moved Gargoyles from afternoon programming to Disney’s One Saturday Morning on ABC and retitled the animated series Gargoyles: The Goliath Chronicles. As a result, the series saw a slump in quality, with new writers and producers replacing the old guard. Die-hard fans ignore The Goliath Chronicles, and series’ creator Greg Weisman doesn’t consider the third season part of Gargoyles' canon and mythology. When Second City Television (SCTV) moved from Canadian broadcast network CBC to the American NBC in 1981, as a mid-season replacement for the late night variety show The Midnight Special, the highly influential sketch comedy TV series changed its broadcasting format from 30 minutes to 90 minutes. To reflect the change, SCTV also changed its name to SCTV Network 90, and then simply SCTV Network for its fourth season. For SCTV’s last season, the sketch comedy show moved to the premium cable networks Superchannel in Canada and Cinemax in the United States. The comedy also changed its running time to 45 minutes and its name one last time to SCTV Channel.